Meeting with clergy and their congregations (e.g., Pastor Logan Keck and Pastor Charles Baldanza of Christ the King Church in Jamaica Plain/Roxbury, Pastor Nathan Barczi of Christ the King Church in Cambridge, and Reverend Anthony Livolsi of Old South Church in Boston). Bringing communities of faith together with the leadership of genomics companies at the Industry Forum for Forging Community Partnerships (May 2016). Michael Friend and Shakir Cannon, co-founders of the Health Ministries Network (Baltimore, MD), spoke on their efforts bringing together faith leaders from minority communities to engage them on the topic of precision medicine. Pastor Charles Baldanza and Pastor Nathan Barczi of Christ the King Church (Jamaica Plain/Roxbury) emphasized the importance of two-way communication between faith leaders and scientists. Giving the keynote address and leading a session at the Minority Coalition for Precision Medicine Summit in Baltimore, Maryland (September 2016), organized by the Health Ministries Network, a clearinghouse for inter-faith organizations, developed as a conduit between science and faith, our goal is to build and establish trust within the often underserved underrepresented communities. 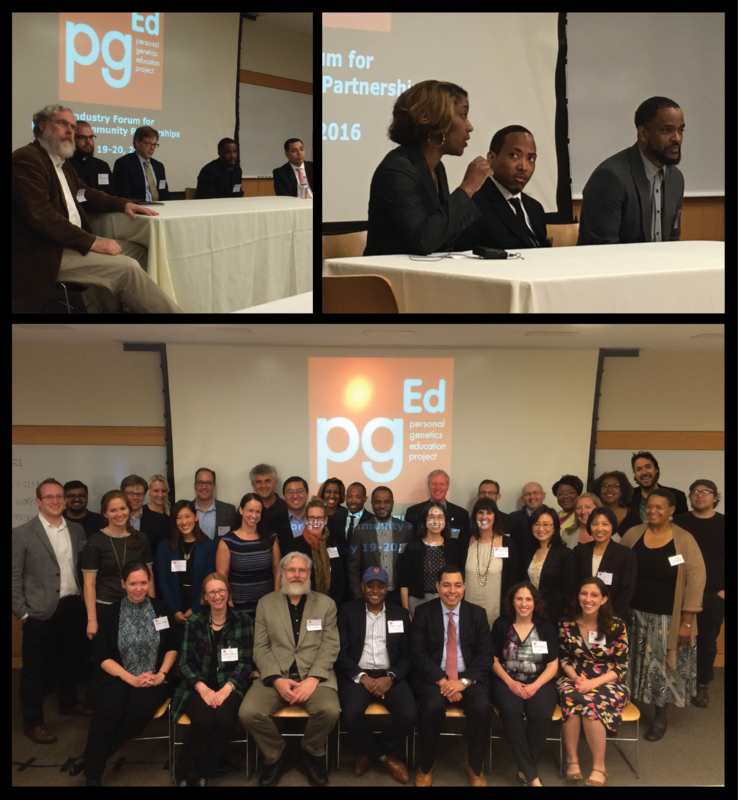 If you’re interested in working with pgEd to grow these efforts, please contact Marnie Gelbart at mgelbart@pged.med.harvard.edu.